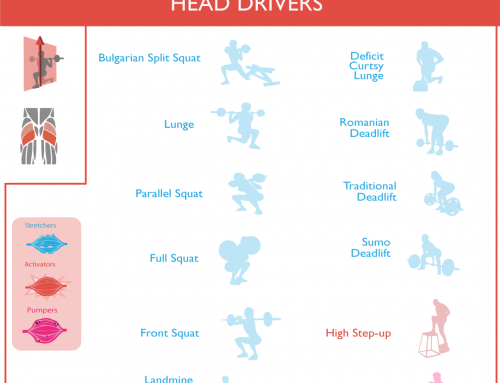 How often should (wo)men train their backsides for optimal results? In my previous article I showed how different exercise types affect the optimal training frequency for the glutes. Still, many people asked me how they should go about designing their ideal glute program. It’s frustrating to put in all those hours of training into a routine, without being sure it’s right for you. Is your current program right for you? My answer is always: it depends. On different factors that we will unravel in this article. Awesome article!! Very detailed and explains a lot without BS. Thank you! Are you getting stronger from workout to workout? This is the single most important thing to assess to determine whether your program is right for you. You can hypothesize about the optimal amount of reps, sets, and exercises all day long, but if it doesn’t translate into results something needs to change. Again, consistently gaining strength over the long term is the best way to assess whether your glutes are getting enough recovery, and are growing. If that’s happening, keep doing what you’re doing. Hello Jo and thank you. Optimal glute training volume depends on how advanced you are. Most of my clients are intermediate so I’ll assume you are, too. A total of 50-60 activator and stretcher sets per week is very likely way too much volume to recover from. I recommend you get this down to 20-30 sets per week spread over 5 workouts and see what happens. Hi Stijn, thanks so much for the great article! After using the calculator it says that I’m elite and said to train 8 times a week. Currently, I train legs 2 times a week, one being quad dominant, the other hamstring dominant. After reading the article I’m open to changing this up to have a more of a glute focus. What do you recommend my split be in regards to the different stretcher/activator/pump exercises? I’m also a bit confused after reading the first article, should I only be doing 6 sets of 8-12 total for stretcher exercise per workout? Would more sets hinder growth? What if I added more sets but less reps? Hi Erika, thanks so much. My philosophy has changed quite a lot since my first article; I actually think activators and stretchers should be a part of every workout if possible. If you’re indeed elite and low stress high sleep you can experiment with that. You should look at sets per week. 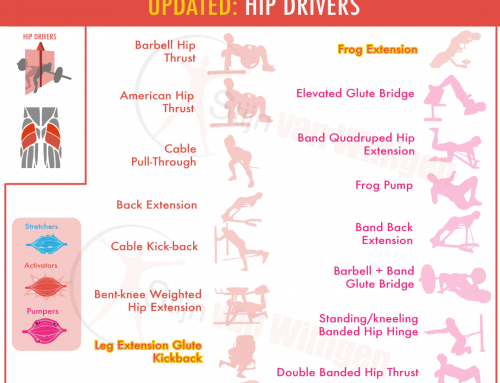 For you, 25-35 glute sets per week is probably appropriate. If you spread that out over 7 workouts, then this means 3-5 glute sets per workout. This seems little, I know, but it’s very important that you keep to it because all that counts here is total weekly volume. You probably won’t be able to recover from anything more with 7x per week training. Example would be: training day 2 sets of romanian deadlifts and 2 sets of split quats, with 3 sets of monster walks (accessory). Band exercises dont count too heavily towards total sets per week, so this is a total of 4 sets for this workout. Rotate exercises over multiple days: day A RDL and BSS, day B Squats and Hip thrust, Day C Glute back extensions and kickbacks, etc. Maybe I read your articles too fast of I don’t fully understand all the English (I’m from Belgium), but when the calculator suggests doing 3,5 glute workouts a week, does it mean workouts build around stretchers? AKA doing squats this many times a week? Or would it be allright if I have 2 days with excercises like squats, hip thrusts and lunges, and then a third (and a half?) workout with mostly pumpers? Am not really sure how to set up my program now. Thanks in advance! Hi Nikita, I advise to do the Activator/Stretchers every workout in this case. You should view Pumpers mostly as an add-on. My views on these type of exercises has changed some. So again, the bread and butter of your program should be Activators/stretchers. That’s about 16-24 sets of Glutes per week which should be plenty for a beginner/intermediate level woman. Hi Stijn, thanks for the great article! After using the calculator it says that I’m advanced. Also it said to train 5.3 times a week. Currently, I train legs 2 times a week, one being quad/glute dominant, the other hamstring/glute dominant. After reading the article I’m a little confused on how to approach my workouts. I am open to changing to have more of a glute focus routine, and see growth. What do you recommend my split be in regards to the different stretcher/activator/pump exercises? and have a second day of another 16-18 sets? for a total of 30-35 sets per week? For 5.3 times per week training, try to distribute the 25-35 sets per week over those days. So about 7 sets per day in total. Focus on the activators/stretchers, not so much the pumpers.